Cold, dark mornings making you sluggish? You might find yourself reaching for that reliable cup of Joe to perk you up. But is coffee good or bad for your teeth? Like our skin and our scalps, our mouths have a delicate pH balance of around 7, but this can be disrupted by certain foods and drinks. Coffee and even tea are one such culprit. Falling below neutral to a pH of 5, coffee is classed as acidic (black coffee more so). And when the pH of your teeth drops to around 5.5, they begin to demineralise, creating the perfect conditions for cavities to develop. The important thing to remember is that your teeth need around half an hour to two hours to recover from any acidic attack. So if you’re consuming an espresso every 30 minutes (let’s hope not! ), you could actually be weakening your tooth structure without realising. Like red wine, coffee is high in tannins which can leave stains on your teeth. The best way to prevent this is to practise good oral hygiene, but you can also eat raw crunchy fruit and veg, such as celery, apples and cauliflower, and check in for professional teeth whitening. Coffee can also cause your mouth to dry out, which means bacteria can multiply, feeding on any traces of food in your mouth and contributing to a rise in plaque. That’s also what leads to the phenomena of ‘coffee breath’! So what can you do? 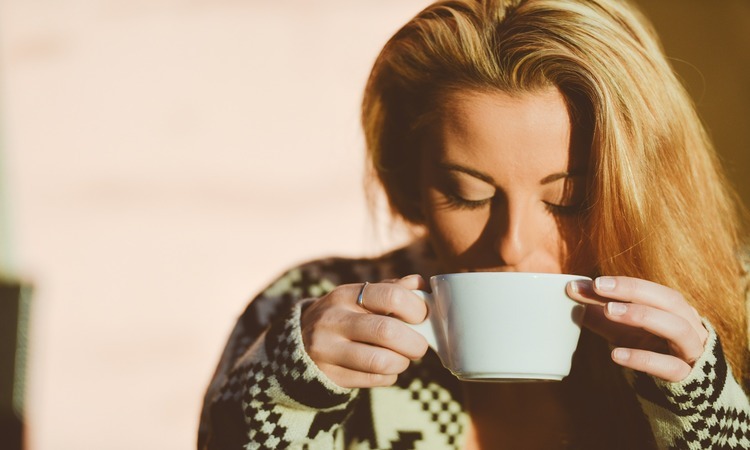 Here at Number 18 Dental, we recommend drinking a glass of water or milk after your coffee to neutralise the acids and remineralise your mouth. If you suffer from mouth dryness, then chew sugar-free gum to stimulate saliva. Of course, it’s not just the coffee itself. Many sweeten their beverage to make it more palatable, either with sugar or syrups. Others use coffee creamers which are high in glucose, or add whipped cream, which also has added sugar. This is another way coffee can damage your teeth so try to cut out the sugar where possible. The best way to enjoy your coffee is to restrict it to one or two cups a day and wash it down with a glass of water. For more diet advice, speak to us at our Notting Hill dental practice today.